Takes you to another website where you can learn about Dr. Fosters herbs, their benefits and how to take them. This is a Full Listing of over 400 Ailments and Exactly What Herbs and Formulas to Take For Each. Additional instructions for how to use formulas for each specific ailment. 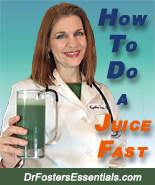 The FDA has written me to let me know they forbid me from posting this guide on the website (Presumably because teaching people how to use the herbs that you're offering empowers them too much, heals them and thereby prevents them from going to see their conventional medical doctors which is a terrible blow to the pharmaceutical industry's sales). According to the FDA, for an herbal company to educate people this way violates Section 201(g)(1)(B) of the Federal Food, Drug and Cosmetic act [21 U.S.C. § 321(g)(1)(B)]. It had to be moved to another website. This is a full listing of specific ailments and specific essential oils that can be used for them. Also includes organ systems (heart, brain, liver, pancreas, etc.) and which essential oils are good for them. Additionally, a listing of emotions and which essential oils are good to use for specific emotions. For people who have complicated health issues, are taking multiple medications, have had abnormal lab results or are confused about what herbs to take, this online quiz is like going to the doctor's office (and herbalist's office) for free. Depending on age, gender, lifestyle, diet, medications, and other herbs one is taking, it advises which herbs to take, which herbs NOT to take, what foods and beverages to avoid as well as information about medication side effects. Takes the confusion out of healing. Anyone who is worried about medication - herb interactions should take this quiz since it addresses these specifically on the results page. Extremely informative and well worth taking! Constellation Healing to help with childhood trauma, emotional issues, family issues, and much more. Please let Gary know I referred you. Click here to learn more about this phenomenal healing technique.